Why we need to break the silence. “I want women to know that this is the time that they need to say no out of love for themselves versus yes out of fear of what somebody else is going to think about them." On this week's episode of "Work It," I'm joined by the brilliant Suze Orman to talk about why we need to break the silence around money and why empowering women to take control of their financial futures is so critical to the #MeToo movement. The mistakes we make when giving advice to others. How to destress and still get stuff done. Why ego is the enemy of good leadership. There's a stress gap between men and women. Here's why it matters. These are the four factors that make a company a great place for women. 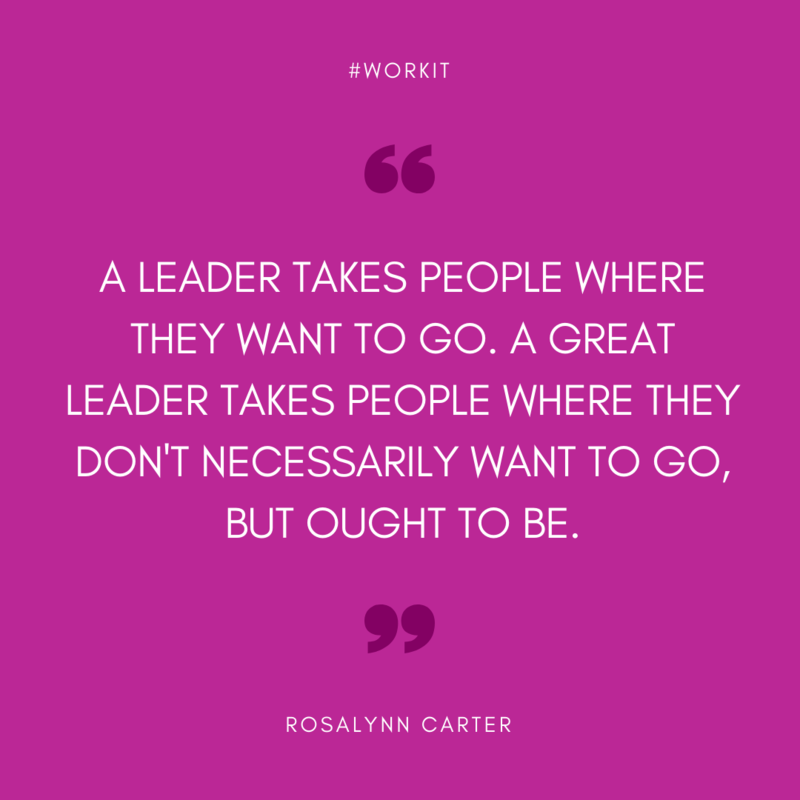 A true leader knows how to get people out of the comfort zone.